I had some interesting feedback from one of my recent previous posts, in which I suggested that HPE might be planning to retire the 3PAR platform in favour of the newly acquired Nimble product line. It appears that nothing could be further from the truth, with both product lines now sitting alongside each other in HPE’s portfolio. This week HPE made some announcements for storage with a new 3PAR and new Nimble products. The details show a potential differentiation for the two product sets and an opportunity to attack a new market segment. The new 3PAR platform is the 9450 all-flash, which as its name suggests could be a replacement for the existing 8450. At this stage the positioning from HPE is that the 9450 doesn’t replace the older model and will (for the time being at least) co-exist. One indication of this is that the 9450 will continue to use the Gen5 ASIC currently in use in the 8000 series models. What is being offered is a significant uptick in performance, both in IOPS and throughput. In the arms race that is all-flash storage, it’s no surprise that HPE would be announcing upgraded hardware, both prior to HPE Discover in June (as they have done regularly) and of course hot on the heels of Dell EMC’s XtremIO X2. For more details on the new announcement, check out Calvin Zito‘s chalk talk on YouTube, which covers some of the background on the 3PAR product family. In terms of feature set, the new 9000 and existing 8000 and 20000 series 3PAR platforms are “NVMe ready” and capable of taking non-volatile memory, which based on what we saw at Discover 2016 in London, will be Optane (3D-Xpoint). From a pure hardware perspective, NVMe and storage class memory (SCM) such as Optane are the next stages in evolution to improve performance. 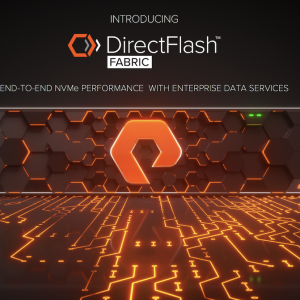 Other vendors (like Pure Storage) have already made announcements on the support of NVMe. I believe we shouldn’t see this move as some radical new development, but rather an evolution to keep up with the performance demands we’re continuing to see from our applications. However, not supporting NVMe will be like going backwards in this hugely competitive market. SCM support is another step in the evolution to deliver faster storage platforms. For the mass market, evolution not revolution is the direction, with end users more interested in evolving performance rather than having to rip and replace with new hardware like the defunct DSSD. In previous generations of HPE 3PAR, SSDs could be used as a level 2 read cache (the feature is called Adaptive Flash Cache), allowing semi-hot data to be cascaded out of DRAM into flash for faster-than-disk retrieval. 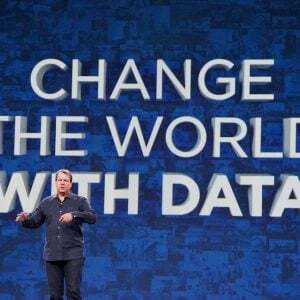 SCM provides the capability to augment flash systems in the same way (Optane being faster than SSD), with the twist that the data is persistent across power cycles. This offers possibilities to treat SCM as a tier rather than a cache (or of course both at the same time). It will be interesting to see how HPE and other vendors will take advantage of this subtle difference. The more interesting announcement from HPE is the release of a secondary storage platform based on the Nimble architecture. Secondary storage is an emerging market that consolidates disk-based backup with other “non-production” storage usage like test/development. 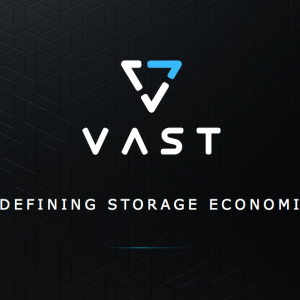 Check out our podcast on secondary storage with Chris Wahl from April (link). From an appliance perspective, the market leaders in this area have been Cohesity and Rubrik (note there are also software solutions out there too), both of which offer scale-out solutions that natively manage VM backups while allowing the backup images to be put to other uses. The new Nimble SF100 and SF200 series arrays are described as secondary flash platforms (although they are technical hybrid SSD/HDD) that can be used as backup targets in conjunction with software such as Veeam Backup and Replication. VM images can be restored and used directly from the SFx00 series array, providing instant recovery capabilities. The use of Nimble for this type of data is a direct challenge to the success of Cohesity and Rubrik. In April this year, Cohesity announced the company had raised a further $90m in C round funding (link), while Rubrik announced a D round this month for a further $180m (link). This is a growth market and clearly one HPE wants to get involved in. Both Cohesity and Rubrik have native backup capability whereas HPE partners with Veeam for this, which means of course we have rumours swirling that Veeam could be an HPE acquisition target. Note: at this point I have to mention that I received a press release indicating Cohesity’s software would be packaged and sold by HPE with HPE servers as part of the HPE Complete program. I’ve left the text intact for now, with additions based on this new information. Stepping back to the HPE solution for a moment, one interesting nuance is in how the combination of Nimble/Veeam stacks up against the custom designs of Cohesity/Rubrik. Cohesity, for example has a custom file system architecture (called OASIS) that is specifically designed to be highly scalable and manage the ingest of new backups without compromising on the performance of VMs that are running off the platform. Nimble’s architecture is certainly capable of absorbing the write load and it will be interesting to see if HPE/Nimble have produced any research into how the platform performs in this specific use case. After all, if there are no specific architectural benefits then any storage array could be put behind Veeam to the same effect. There are other areas of consideration when comparing these solutions. How will Nimble/Veeam scale? What level of automation is in place to manage data/metadata in both components of the solution (i.e. what level of integration is there)? Could data still be accessed if Veeam was taken out of the equation? What will the solution cost? OK, I accept/admit that for the time being, 3PAR isn’t about to be retired. The division of products (as defined by HPE) puts 3PAR as the most flexible solution, Nimble as the simplest with MSA as the cheapest. The use of Nimble as a backup target has some intriguing possibilities if the integration of Veeam and Nimble works well. One thing I’m not clear on is how HPE’s backup strategy is developing. 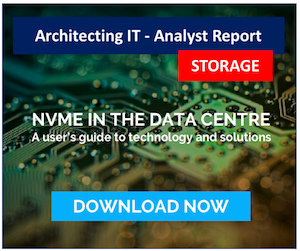 There’s a big focus on Veeam (presumably because of the existing customer base that could be interested in Nimble as a storage target), however RMC and StoreOnce sit as a second solution that effectively competes. Update: So adding in the latest announcement from Cohesity, it appears HPE now has RMC and StoreOnce as a solution, Veeam and Nimble SF as another solution, with Cohesity and HPE servers as a third. This is great for customer choice, but is there a bigger strategy here? Has Dell EMC Redesigned XDP on XtremIO?